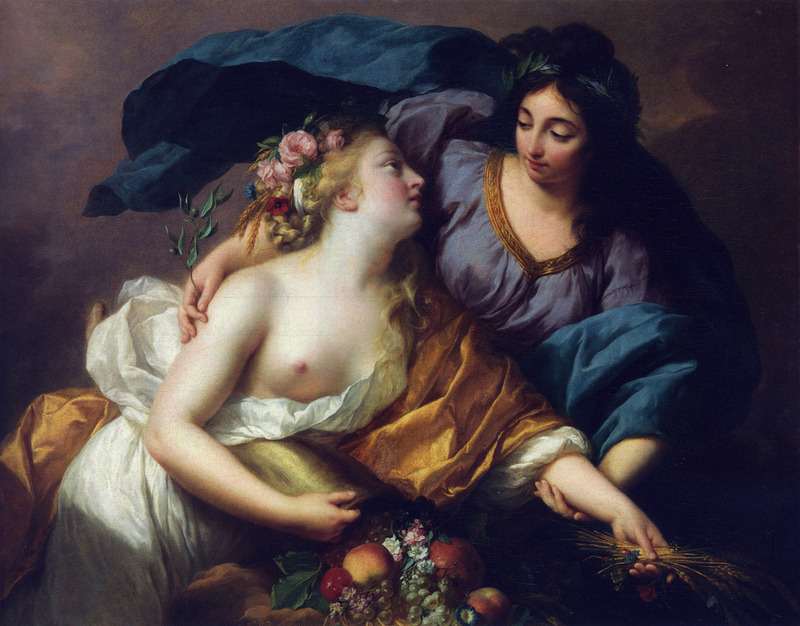 This is a study for the figure of "Abundance" in the painting "Peace Bringing back Abundance - 1780" (Art Page 3). 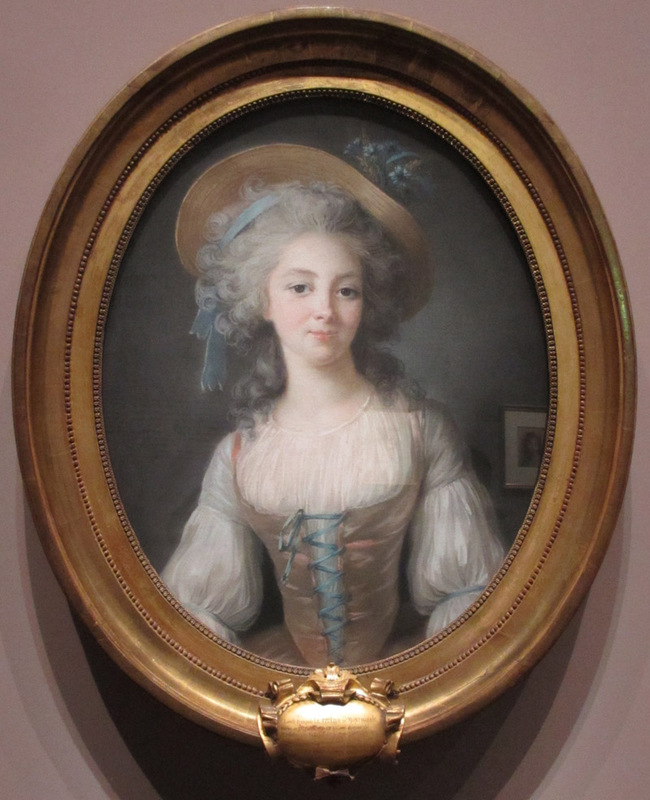 The painting was Vigee Le Brun's admittance piece to the "Academie Royale" in 1783. 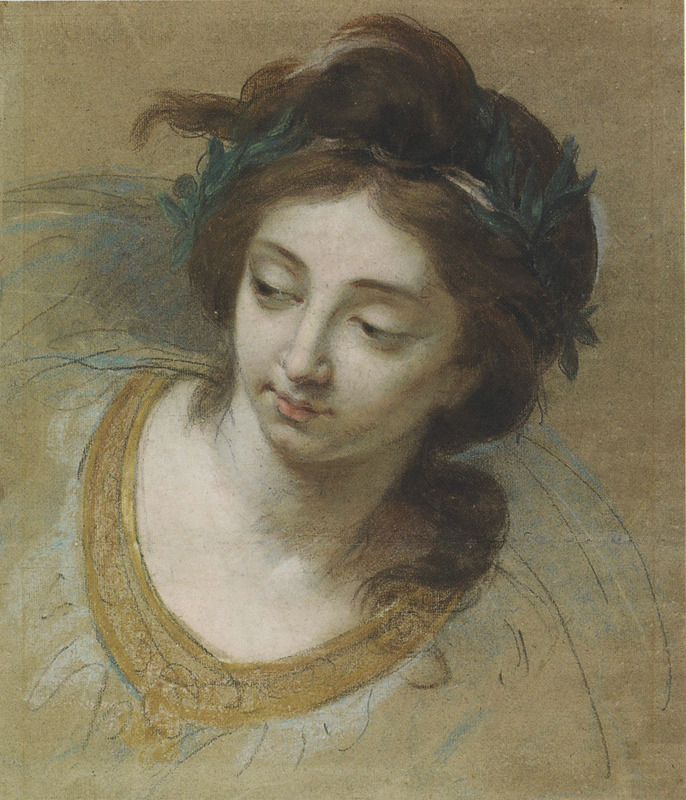 Vigée Le Brun completed two pastel head studies for this painting. One for "Peace" (Art Page 14) and one for "Abundance". 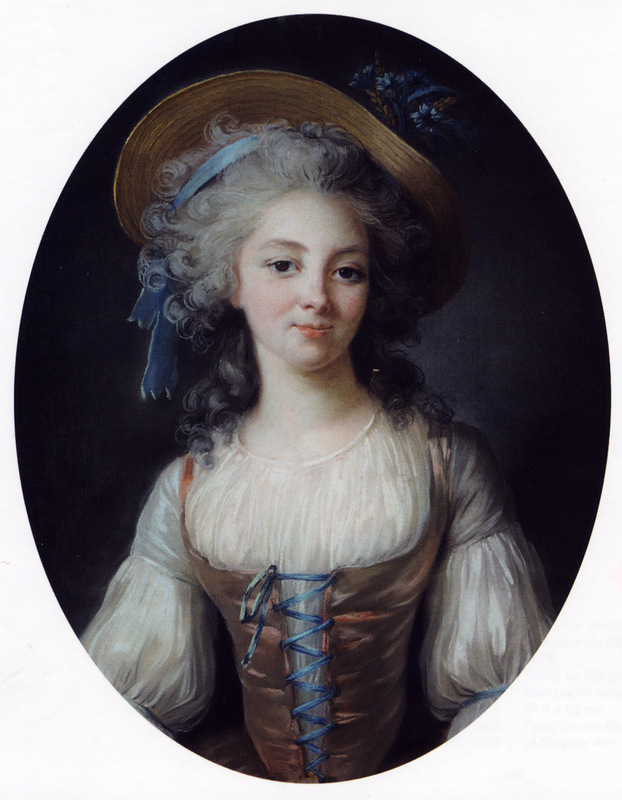 This portrait was displayed in the 2015 Paris Exhibition. 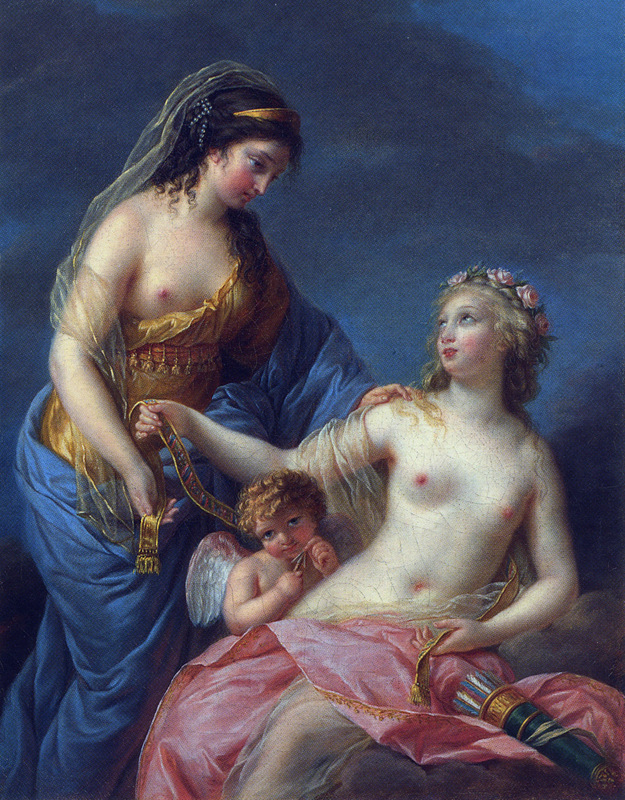 Venus Presenting her Girdle to Juno. 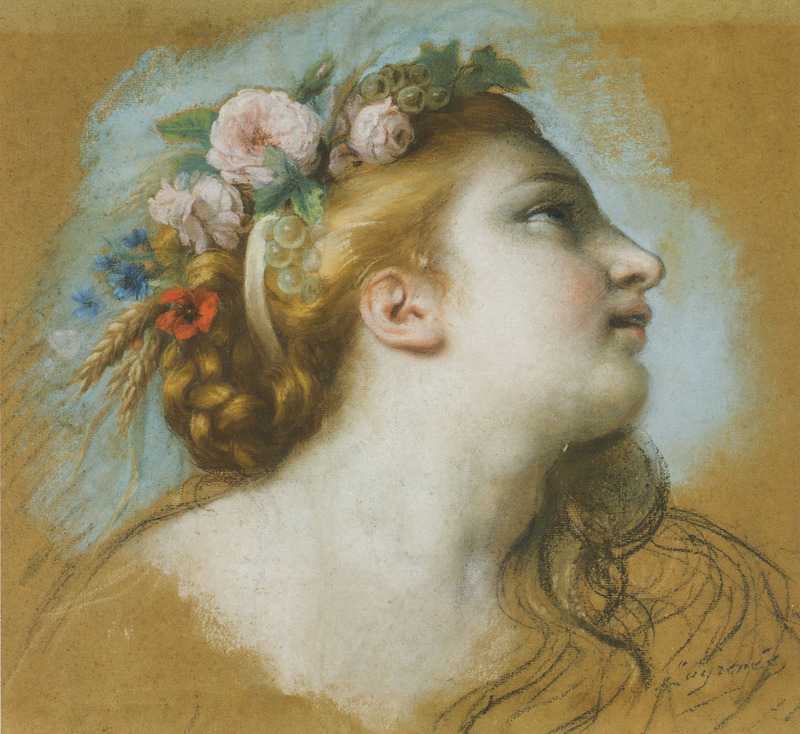 This portrait was displayed in the 2015 Paris Exhibition. 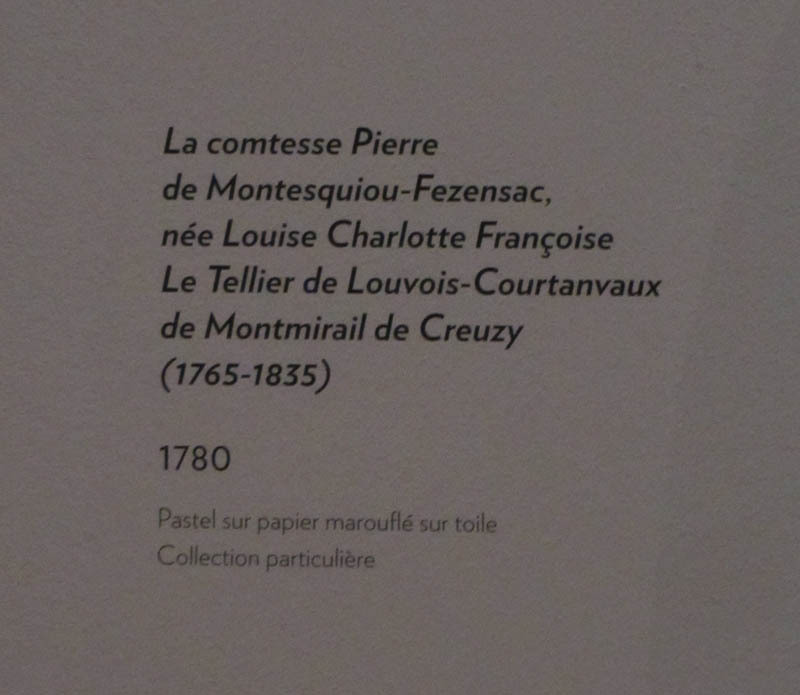 Countess Pierre de Montesquiou Fezensac, nee Louise Charlotte Francoise Le Tellier de Lauvois Courtanvaux de Montmirail de Creuzy (1765-1835) This portrait was displayed in the 2015 Paris Exhibition (view show image and plate).